Fidget spinners and other fidget toys for adults have captured my attention lately. I bought my first fidget spinner in early 2017 and have enjoyed using it to help combat occasional boredom while sitting at my work desk. But many others use fidget toys to relieve themselves from symptoms of anxiety, attention deficit disorder (ADD), and attention deficit hyperactivity disorder (ADHD). Sensory fidget toys are also helping kids and adults cope with autism. And, as at least one of my friends told me, fidget spinners, torqbars, and other finger fidgets make fantastic collectibles! Still not sure what a fidget spinner is exactly? Fidget spinners are among the most popular finger fidget toys. They’re small wheel-like toys made with metal or plastic that easily spin on a ball-bearing axis. Many fidget spinners look something like gears or cogwheels — with 2 to 8 knobs popping off the side of the wheel. But the most popular fidget toys are spinners! I like using my fidget spinner because it’s a quiet, discreet way to occupy my busy mind between breaks at my work-from-home office desk. I’m fidgety anyway, and my brain always goes in a thousand different directions — I’ve been that way since I was in elementary school. I remember when I was a kid I used to be quite smitten with squeeze balls — those soft cushy balls filled with foam or sand that many people now call stress balls. And then along came the Koosh Ball –one of my favorite toys of the 1980s. And while I’ve not been diagnosed with ADD / ADHD, I’ve heard that people who have enjoy using fidget toys for their therapeutic benefits. It’s true, fidget spinners can help eliminate stress or stave off boredom. But be careful of manufacturers who claim that fidget spinners can treat things like ADD / ADHD, depression, or autism. You’ll find plenty of fidget toys for anxiety and ADD/ADHD being offered these days. However, fidget toys for ADD/ADHD and anxiety are not medically proven to actually cure or treat such issues — so be skeptical of any fidget toys that are advertised this way. However, there are fidget toys specifically designed for those who are on the autism spectrum. Fidget toys for autism are often known as sensory fidgets — and they typically feature light, sound, and other multi-sensory elements. 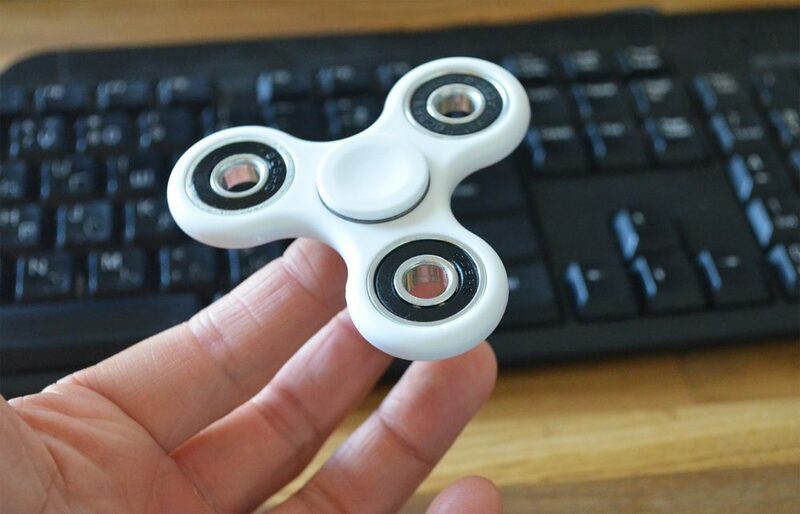 One of the only major drawbacks for kids who like using finger fidget toys is that many schools have banned them because they’re considered distractions in the classroom. It’s already pretty well established here that, among all fidget toys, fidget spinners are hands down the most popular and widely purchased type of finger fidgets these days. Though fidget spinners were invented in the 1990s, they’ve enjoyed incredible popularity really only since becoming an Internet phenomenon in late 2016. 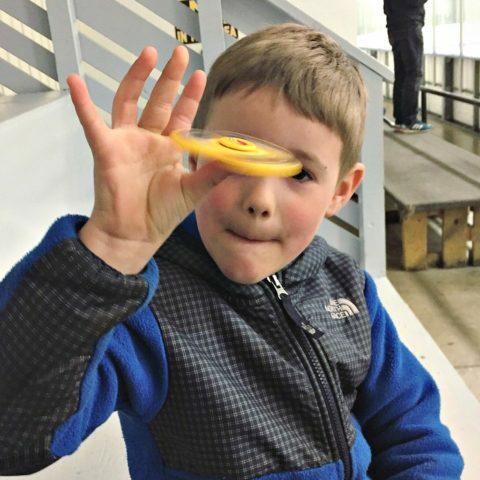 According to veteran collector and spinner enthusiast Dave Pecota, fidget spinners for kids and adults are all the rage. I asked Dave to tell me a few things about fidget spinners that everyone should know. Here’s what he said. How do you choose the best fidget spinners? I look for fidget spinners that I think are noteworthy for their design, performance, value or significance to the genre. I also am curious about spinners whose characteristics may provide interesting or unusual visual or tactile feedback. How do you choose collectible fidget spinners for adults? For adult fidget spinners, virtually all the sales are made online. To a great extent, you rely on company reputation, photos & comparison data and product reviews to determine if a certain spinner will likely meet your quality and performance expectations. For the most part, these spinners are made by small specialty machining companies who develop their own designs and do their own manufacturing. Several are located in the Pacific Northwest and provide machining services to the aerospace industry. Spinners are also produced for this market by outdoor equipment and collector knife companies. What should you consider before buying a fidget spinner? Before buying collectible fidget spinners for adults, one should ponder a few questions. Are the spinner frame edges rounded or chamfered for comfort? Are there useful finger grip areas (aside from the buttons) for ease of manipulation? Are the finish surfaces rough or overly slick (either can cause finger rash)? Are the spinner’s size and weight appropriate for your hand size and dexterity? These characteristics will be critical to the enjoyment of a spinner, regardless of its manufacturing quality. What does it cost to buy collectible fidget spinners? What are the best fidget spinners for collectibility? Perhaps we can draw conclusions from past collecting experience, and say ‘nostalgia’ will be an important factor. Therefore, early spinners of good quality and performance that first attracted people into the hobby may be prized. This will be particularly important if these spinners had relatively short production lives. Are there any fidget spinner collector groups? 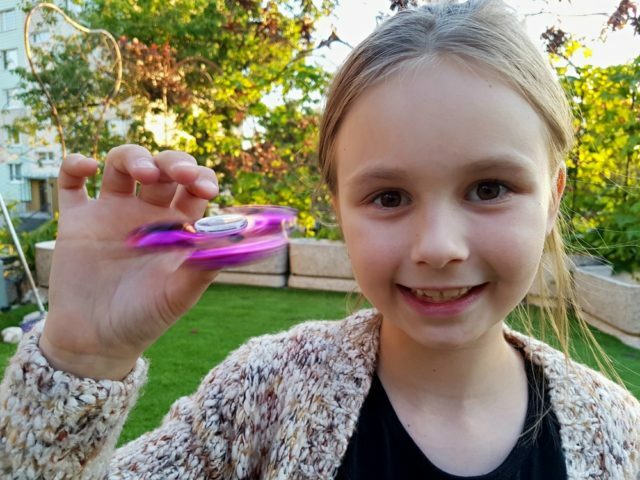 The spinner phenomenon has been largely Internet-driven, so there are several fidget spinner collector groups who are active on various social media platforms such as Facebook, Flickr, and Twitter. Spin Space and Daily Fidget appear to be among the most popular. In addition, companies such as Tech Machining USA (WooSah) maintain highly active fan-participation sections on their websites and send out e-newsletters to help fuel product sales and develop brand loyalty with fans. Where can you find the best fidget spinners for adults? Fidget spinners for adults are almost exclusively sold through online transactions — either directly from company websites or through sales-based websites such as Etsy. While some companies maintain sufficient inventory for immediate purchases, others use pre-sales or unannounced product ‘drops’ to better accommodate product manufacturing schedules. Companies carrying inventory on a consistent basis may not always have every spinner model or finish in stock, so patience can come into play with them as well. I have waited weeks (or even months in one case) to receive certain items. A relatively small number of ‘pre-owned’ spinners are available on some online auction sites. This is where I purchased my early-run and out-of-production spinners. However, most owners seem hesitant to part with their spinners, even after prolonged use. Where’s a good place to find the best fidget spinners for kids? ‘Toy’ fidget spinners for kids and teens are now widely available at most big-box and drugstores, supermarkets, bookstores, and toy stores. The vast majority are Asian-made, plastic 3-arm spinners with 608 bearings. Proportionally, a smaller number of more expensive Asian-made, metal alloy spinners may also be found at many of these locations. 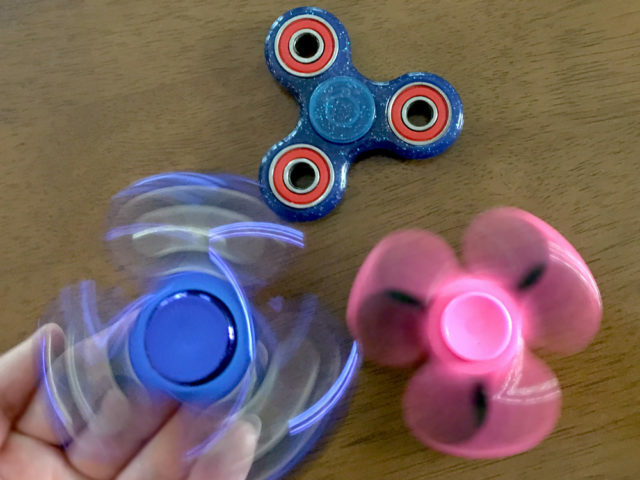 There are hundreds of Internet-based suppliers ranging from Amazon and eBay to independent sellers where these toy spinners can be purchased online. How do you choose cheap fidget spinners? Are they good for beginners? The only way to know if the spinner hobby is going to appeal to you is to use a fidget spinner. If you can’t borrow one, then initially buying a ‘cheap’ spinner makes the most financial sense. However, most cheap fidget spinners may not produce a pleasing enough experience to be a true indication of your potential enjoyment of the hobby. They may have limited spin times, have wobbly spins, or lack the level of machining necessary to make continuous ‘fidgeting’ comfortable. There are spinners priced at around $10 that, through thoughtful design and excellent bearing quality, can perform as well as spinners costing several times as much. One that I purchased for $9 (the plastic frame Big Baller) had a spin time of over 4 minutes right out of the box and was surprisingly comfortable to fidget with. It has removable weights and interchangeable parts in several colors — so I can alter its appearance and feel at my whim. Between $15 and $20, the options increase. For example, I was very impressed with the aluminum Woosah Namaste Original for $20 that came equipped with a smooth and quiet R188 bearing. This is the lowest-cost spinner in the company’s lineup, yet I was amazed at how much I enjoyed using it. How do you maintain a fidget spinner? If you use finger spinners often or carry them with you, be prepared to perform some routine cleaning of the bearings. I also wipe off my spinners with a soft cloth after extended use. Bearings that come from a manufacturer pre-oiled will probably need cleaning sooner than later. It’s best to follow their recommendations for cleaning and re-applying the oil. In some cases, only compressed air is needed for cleaning. I bought a used, early-run copper Torqbar from an individual who said the spin times were disappointing and the patina was somewhat bothersome. I cleaned out the bearing with small can of compressed air, which immediately returned the spinner to its as-new spin times. I think the patina gives the spinner “character” — the look of a senior member of the spinner world. What are your favorite fidget spinners? As a collector with budget restrictions, I’ve learned that you can’t own everything. It’s no different with fidget spinners, particularly those priced at the high-end of the market. But I found some excellent moderately priced spinners that provide a very satisfying (calming) experience. The MD Engineering Torqbar (US) — Don’t be fooled by its looks, and don’t waste money on clones. The design was perfected over a lengthy period of time, and it’s machined to very high standards. I also really like the feel and feedback of the plastic! Rotablade Stubby Light (UK) — The combination of its design, frame material, and tungsten ball weights give it a personality that is unlike anything else. Woosah Namaste Original (US) — Strictly on a ‘cost-versus-performance’ basis, it’s hard to beat!